The Lakeshore Food Club put more fresh fruits and vegetables in the hands of people at risk for food insecurity in the summer of 2018. We sincerely thank Rural Partners of Michigan (RPM)* for the financial support that has helped launch our Grow A Row campaign and garden education classes. In our original two gardening classes we taught more than 25 participants the basics of backyard and container gardening, and we handed out seeds, plants, potting mix and containers to help students get growing on their own. Most participants lingered after class to speak with our instructors and ask more gardening questions. Many in the community showed interest in more advanced gardening classes and/or additional evening classes in the future! Our Grow A Row campaign proved to be widely popular in the community, earning coverage locally and on regional news outlets. 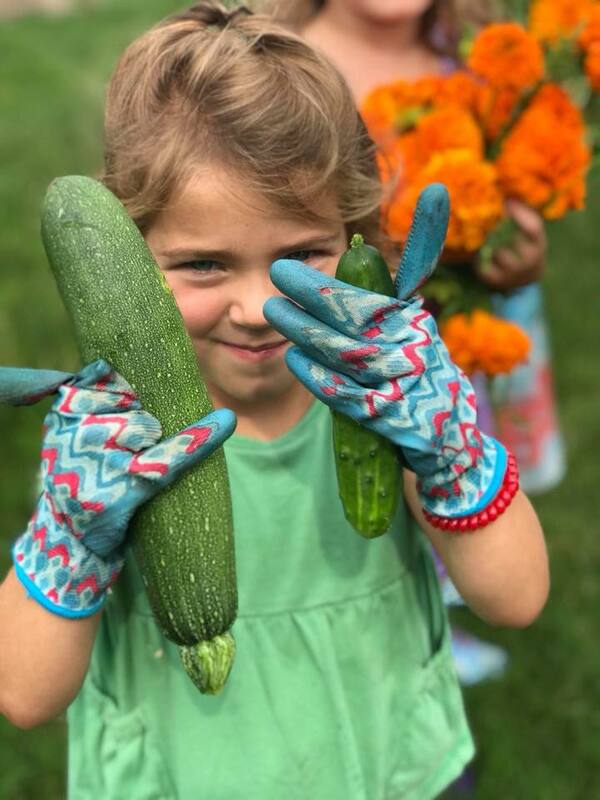 As of mid-September 2018 we’ve collected more than 3,500 pounds of local produce for our Food Club members, and many organizations around town have started or dedicated gardens specifically to help out. The response from our Food Club members has been one of gratitude, and even the more “oddball” vegetable donations have provided opportunities to learn about and try new foods. Our partnership with the local garden club was instrumental in putting both these programs together and helping us reach a broader audience. In keeping with the original intent of our proposal—to increase produce education and consumption—the remaining funds were used to supplement the construction of a teaching garden at the Food Club. This garden was built mostly through another grant and constructed to host the “Eat A Rainbow” program, an 8-week-long class series geared toward children ages 4-7. 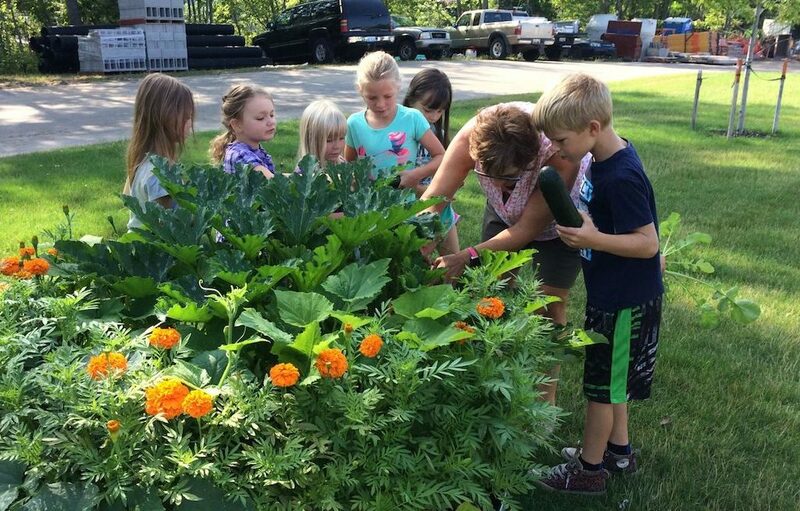 This program was taught by MSU Extension instructor Kendra Gibson and focused around hands-on nutrition and garden education. By the end of the class the children were recognizing and trying new foods and connecting the food on their plates to the plants in the garden. Plans are already in place for another kids’garden class for 2019, and likely for years to come.